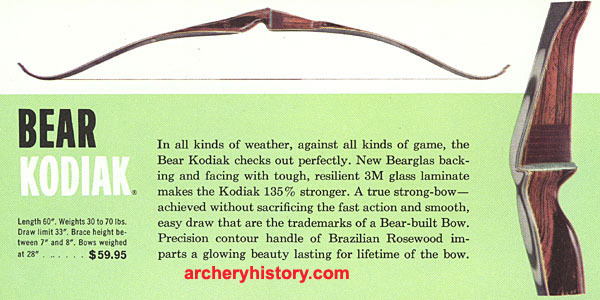 Bear Kodiak Magnum (1962) 52"
Featured shoot thru design with one of the first "V" launch rests made of copper, steel and plastic. 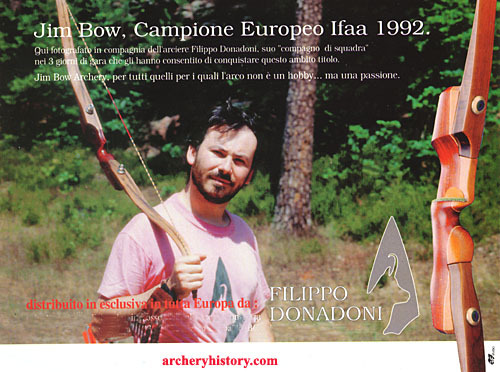 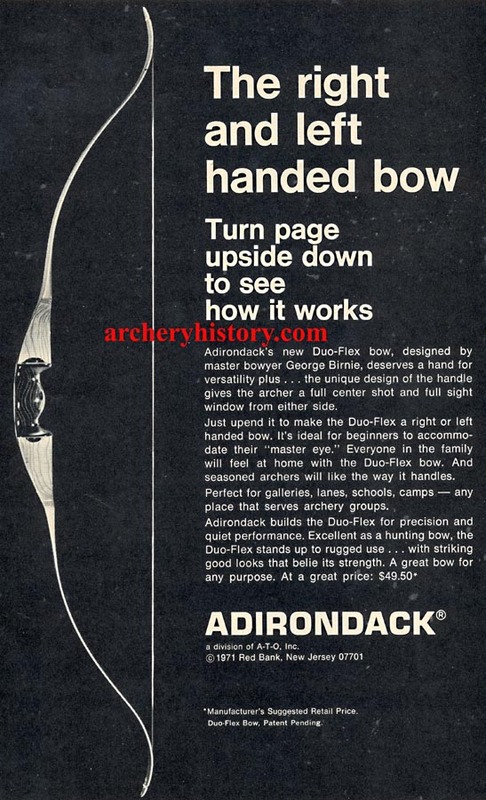 One of the largest selling bows. 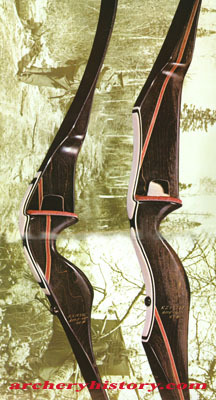 Hit "Black Ace" recurve 72"
Includes 22 karat gold plated limb mounts, clear glass and custom display box.The limbs are Yew wood with clear glass. 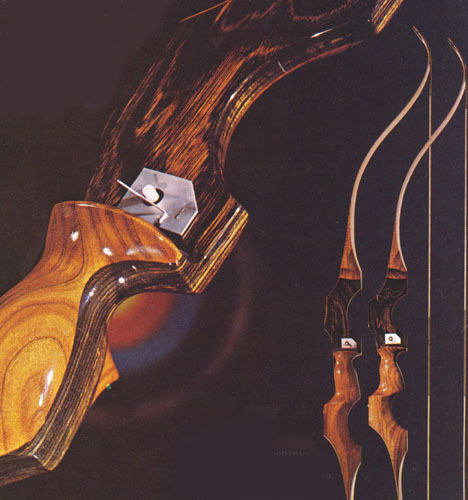 The Yew for these bows was cut and seasoned by Earl Ulrich, at age 91. 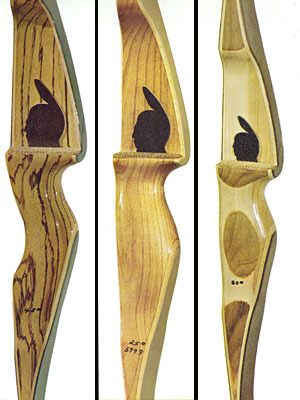 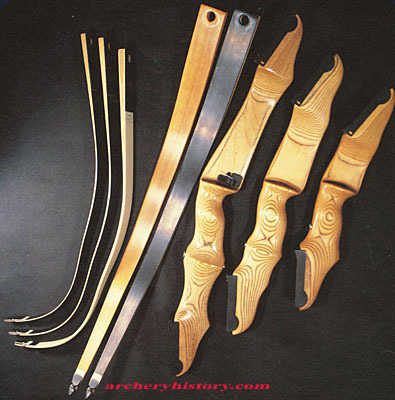 Earl selected Yew for bows all his life in the high mountains of Oregon The riser is made of Brazilian Rosewood with decorative fiberglas tips. 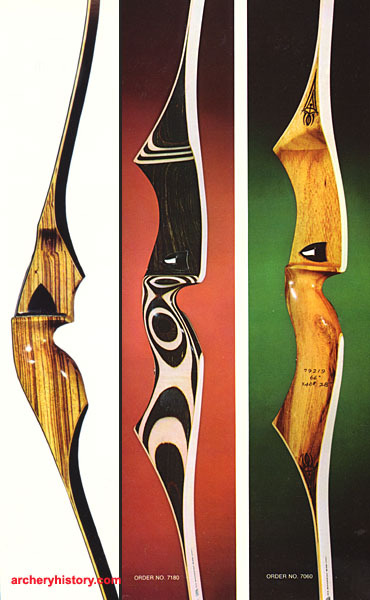 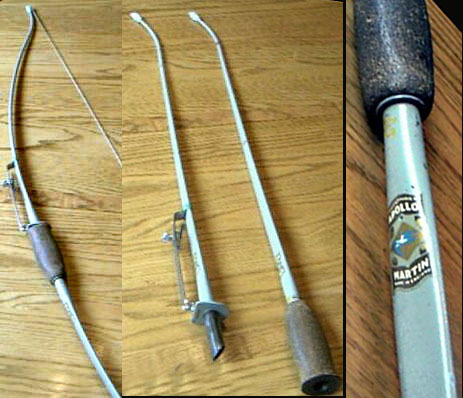 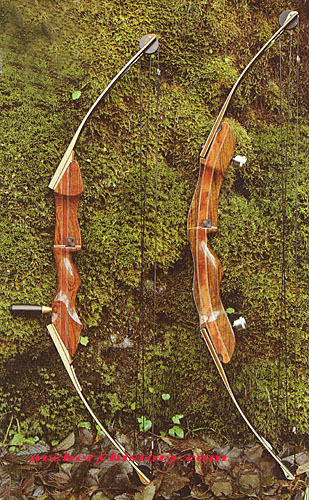 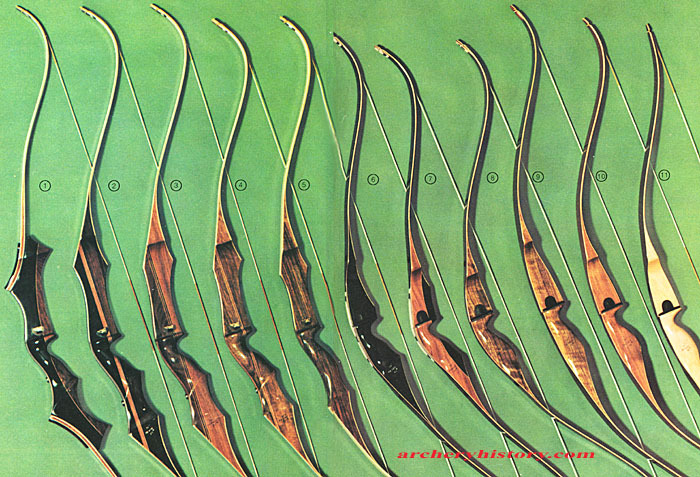 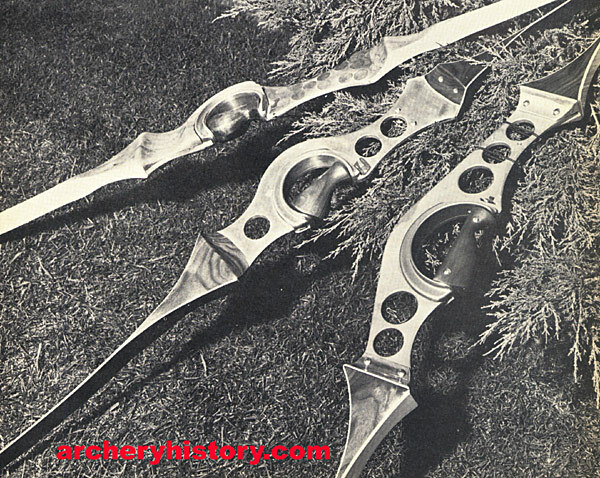 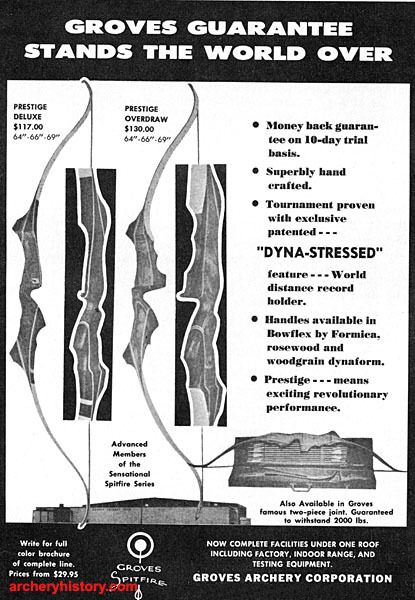 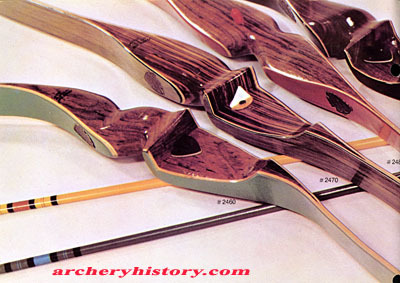 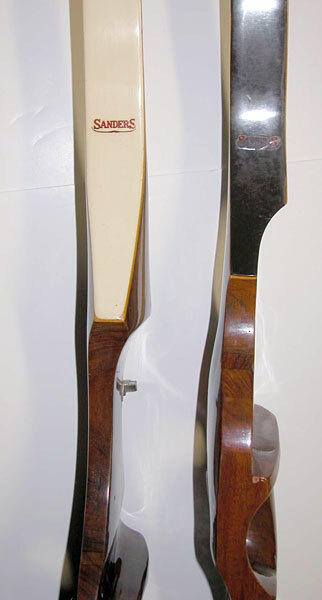 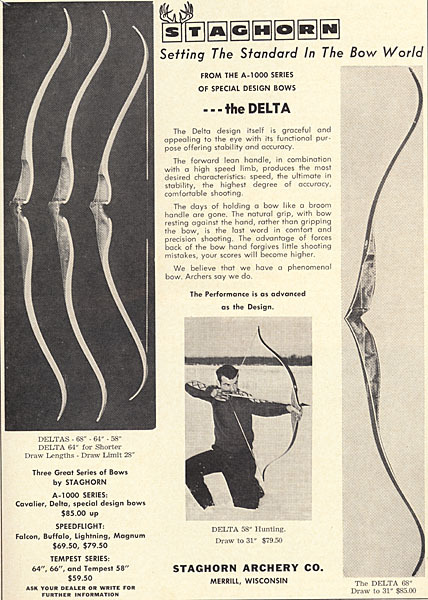 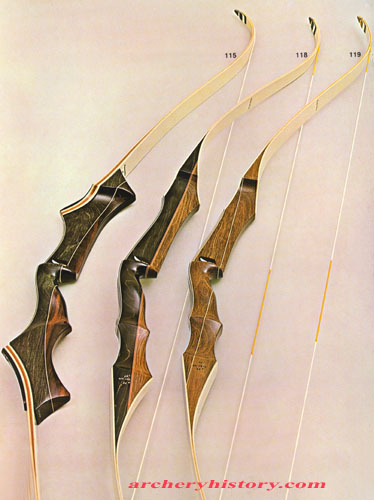 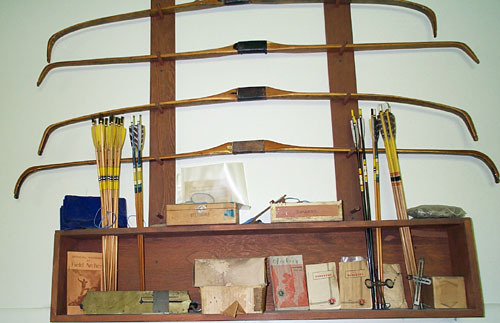 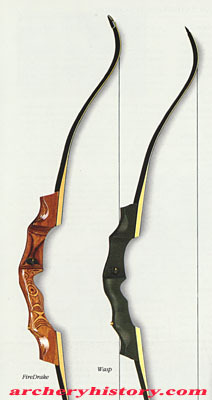 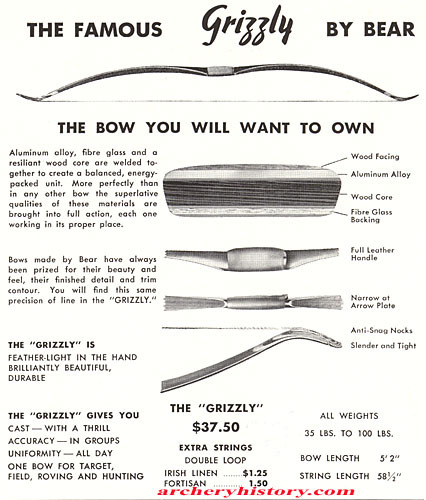 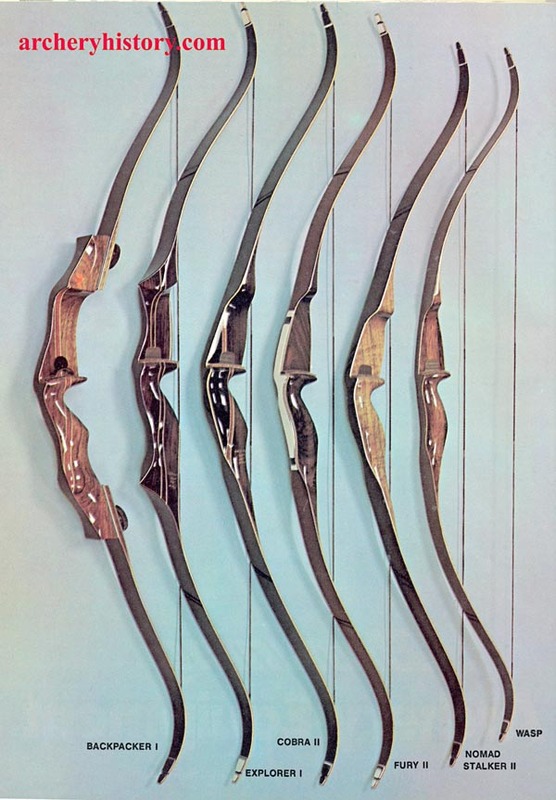 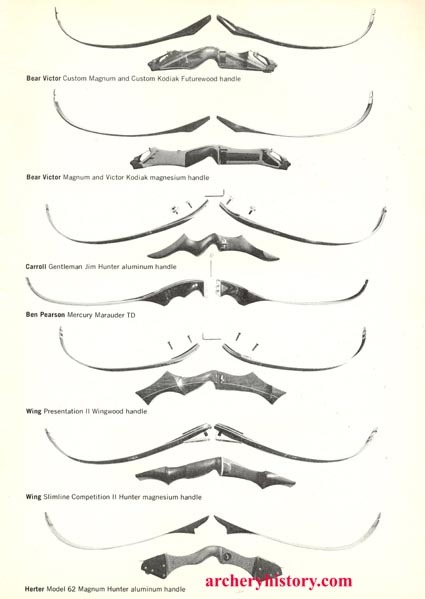 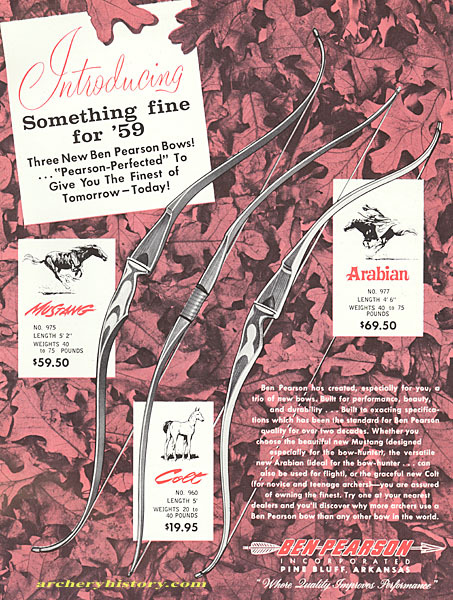 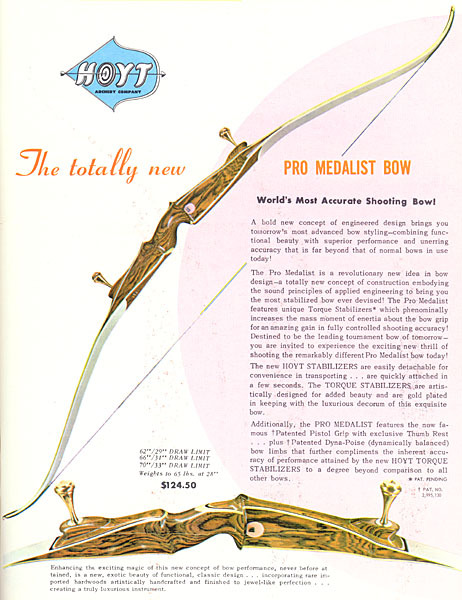 Early Howatt bows made in approximately 1938. 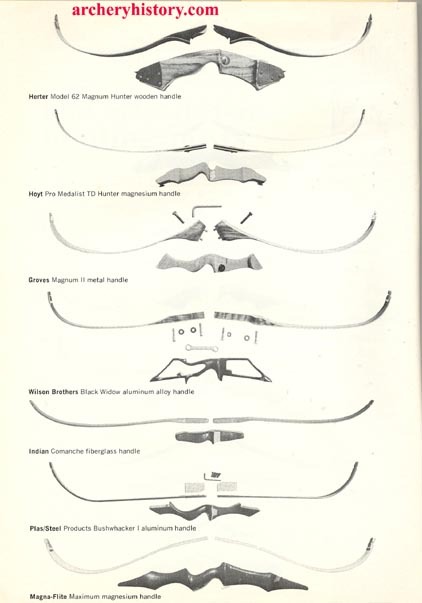 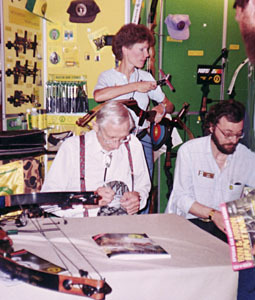 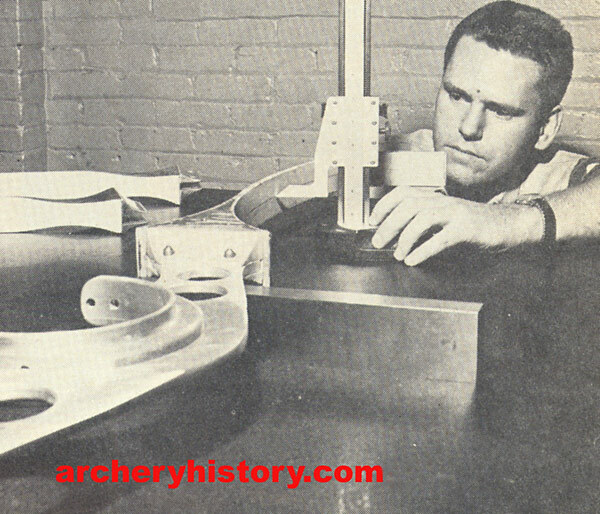 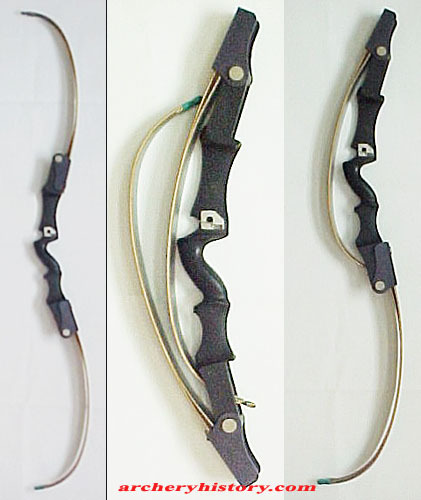 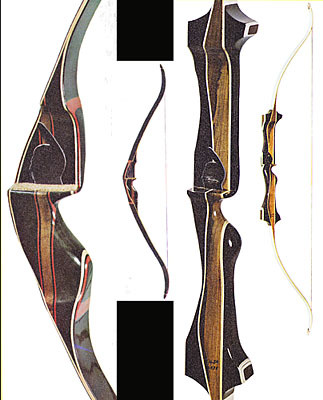 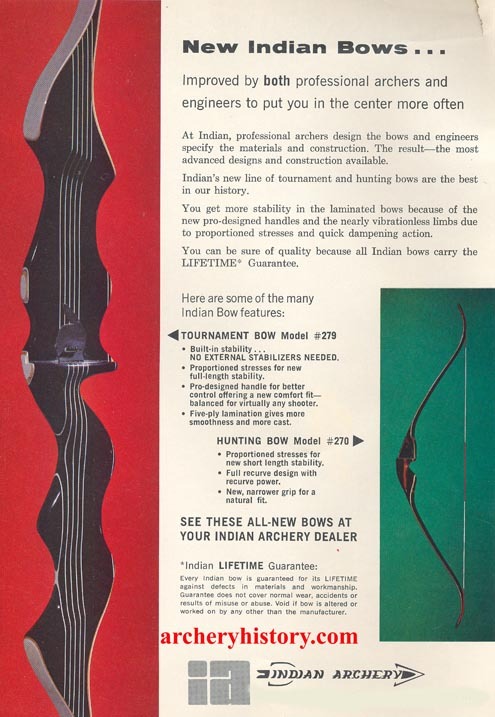 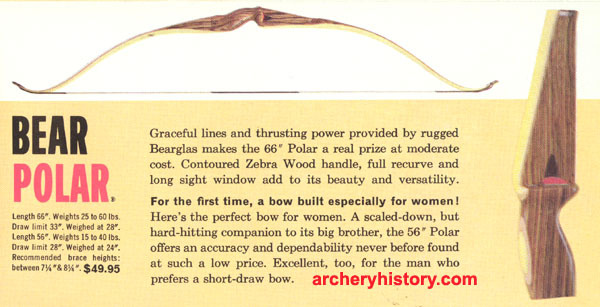 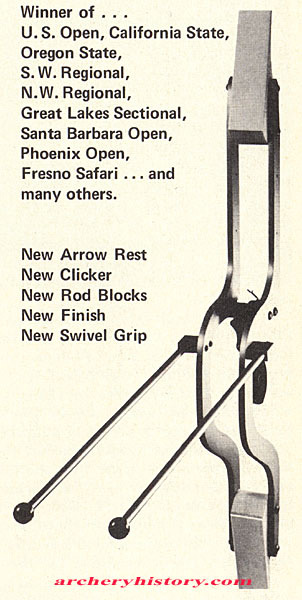 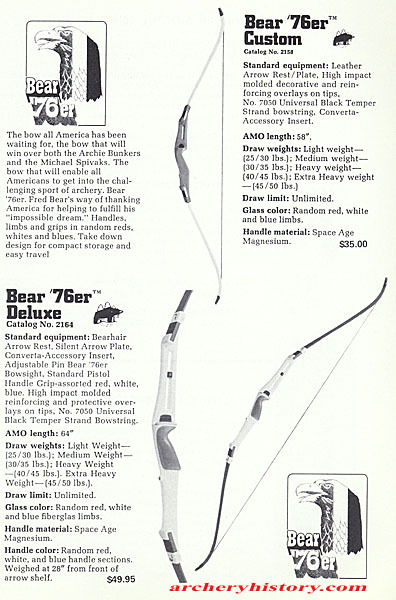 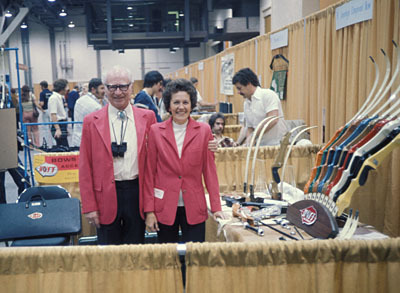 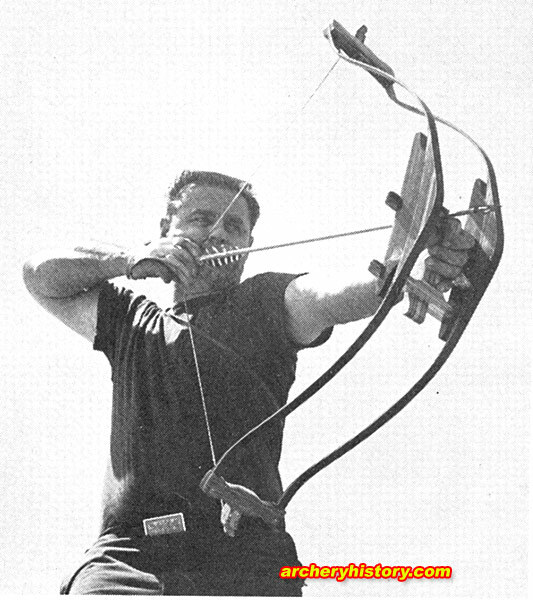 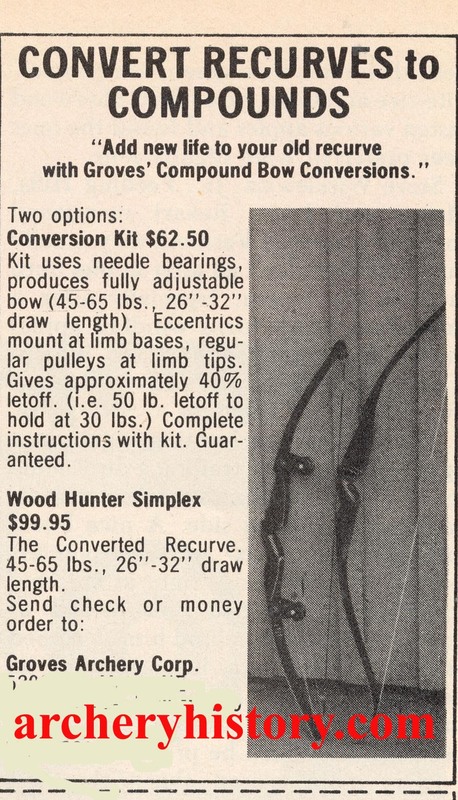 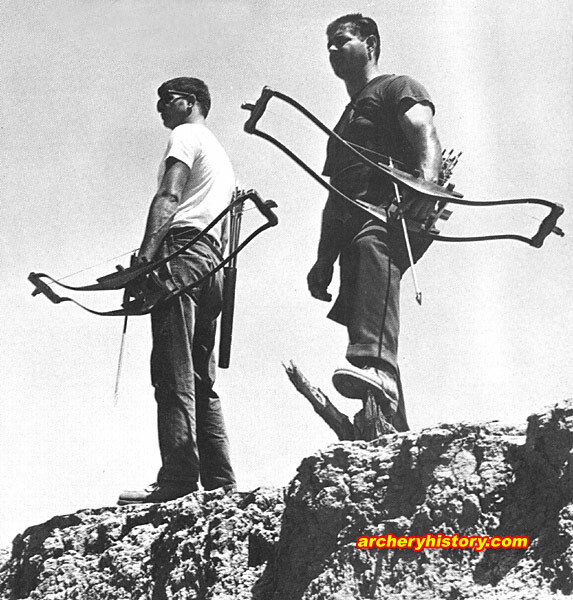 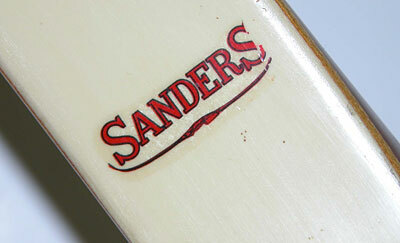 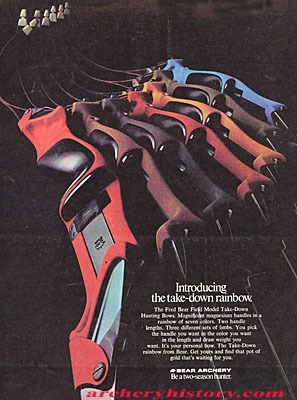 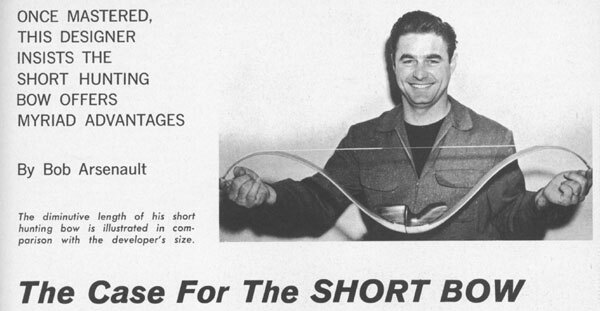 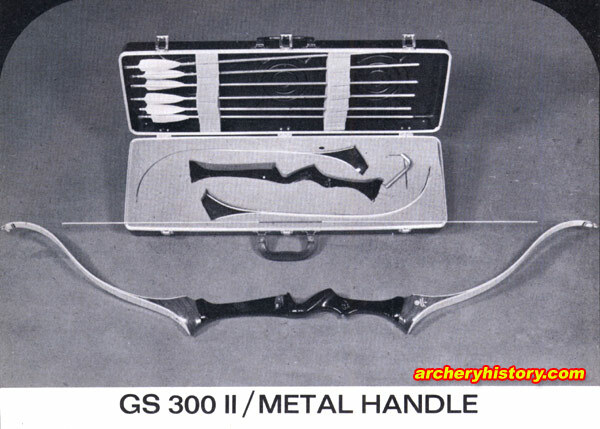 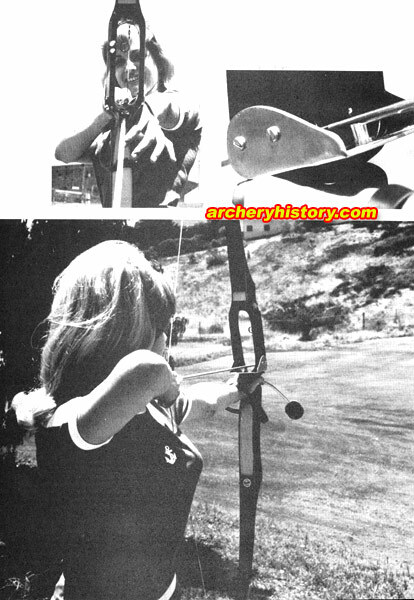 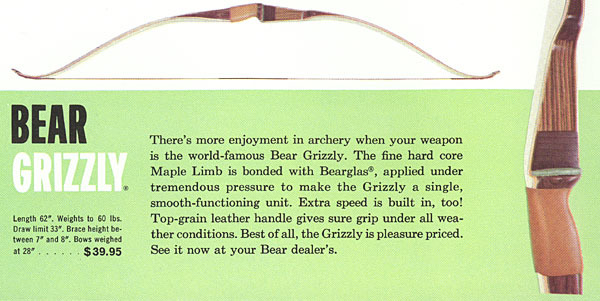 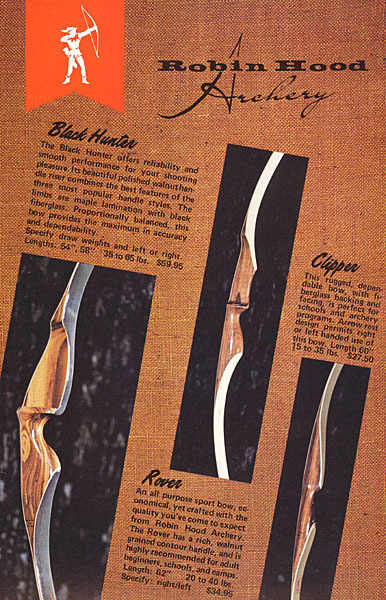 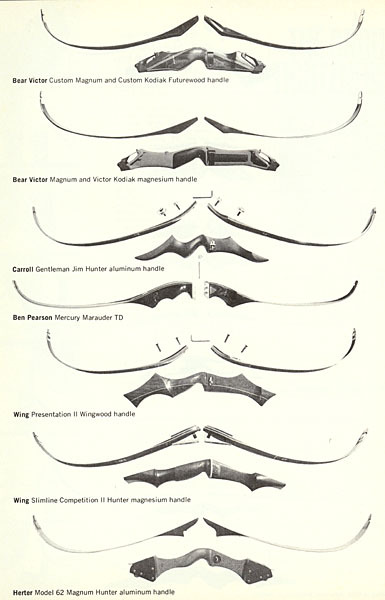 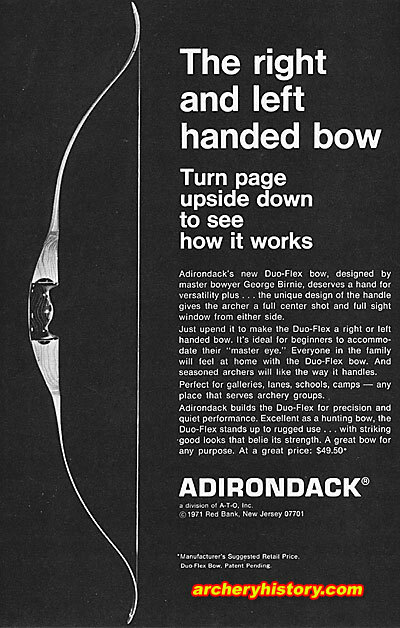 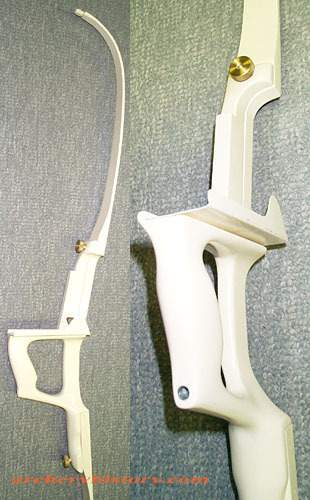 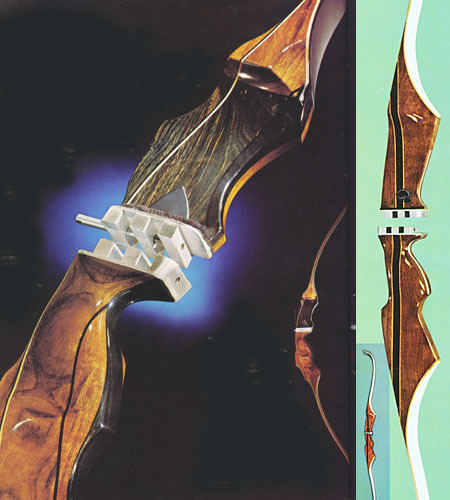 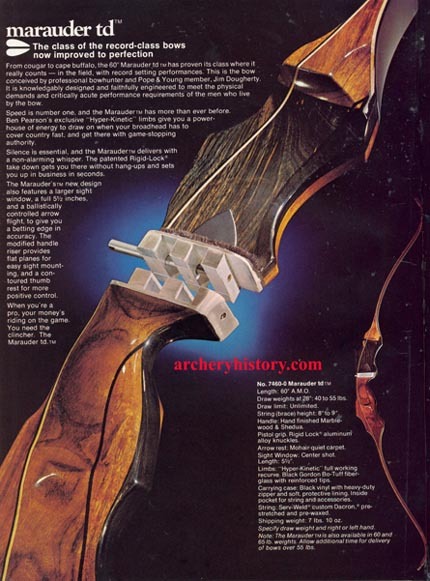 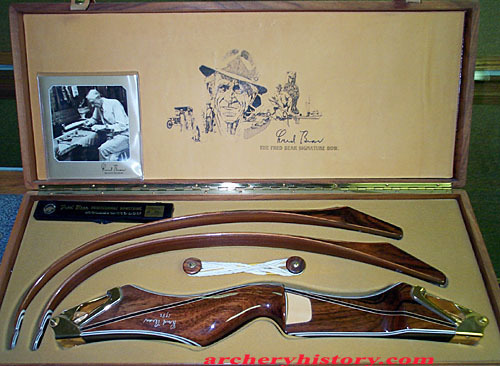 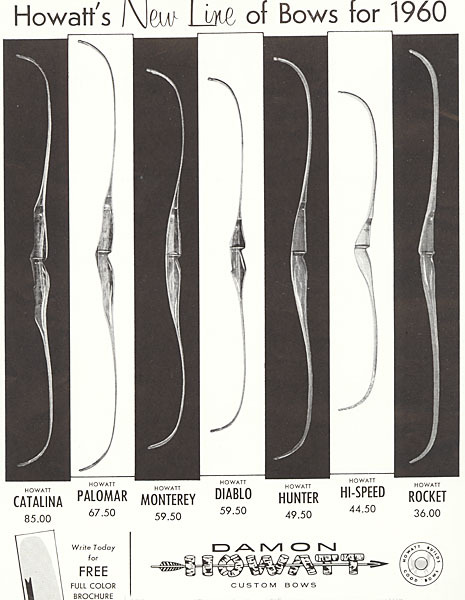 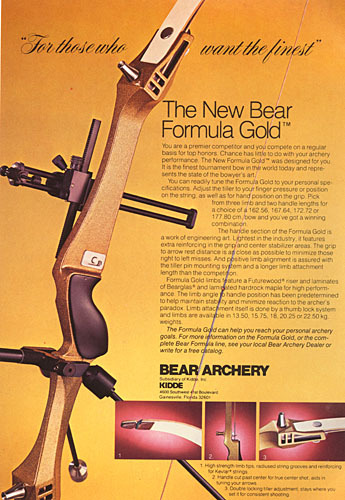 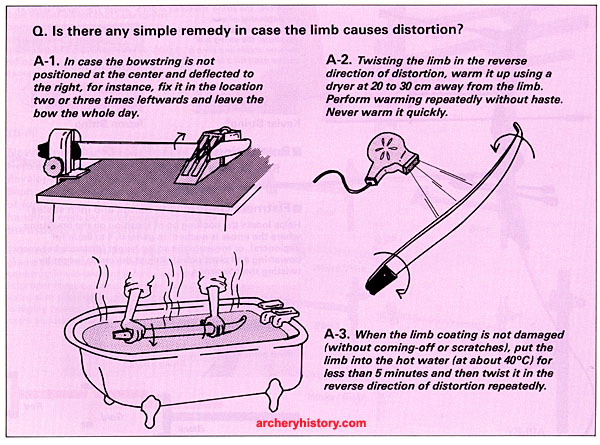 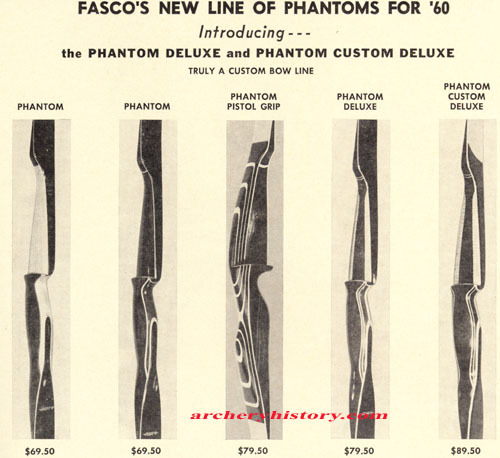 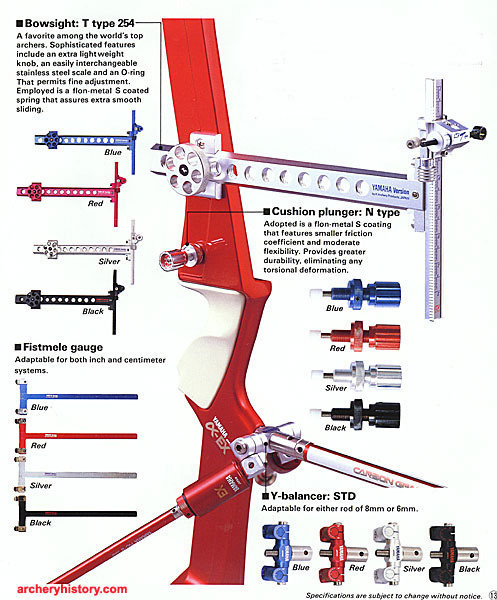 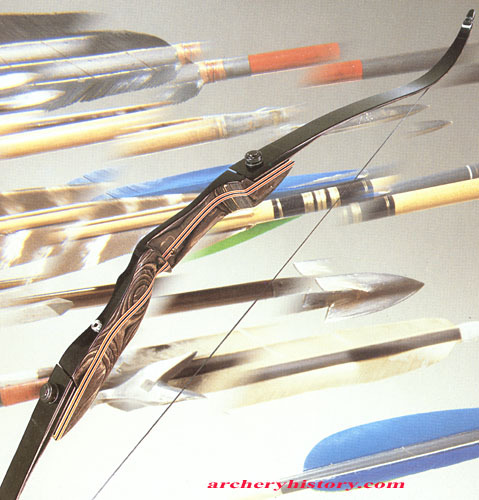 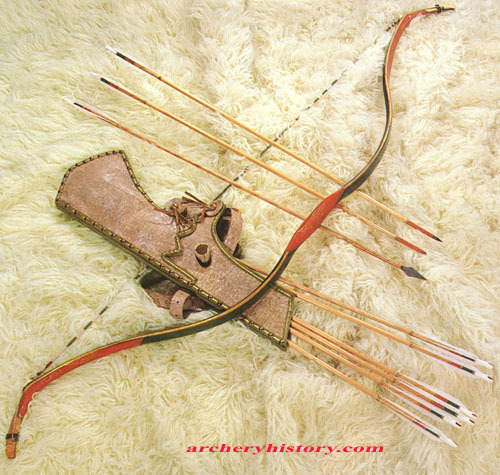 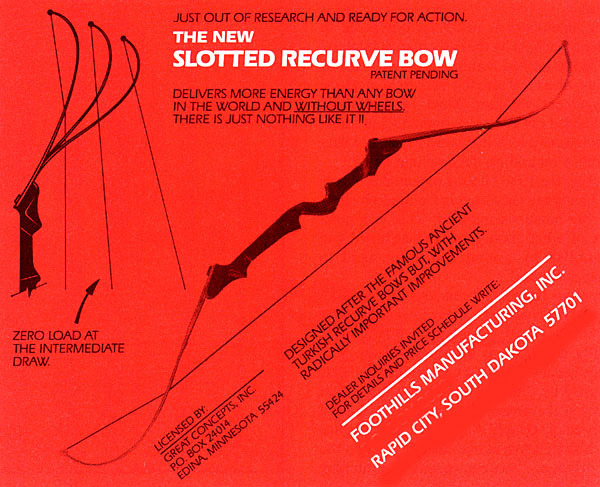 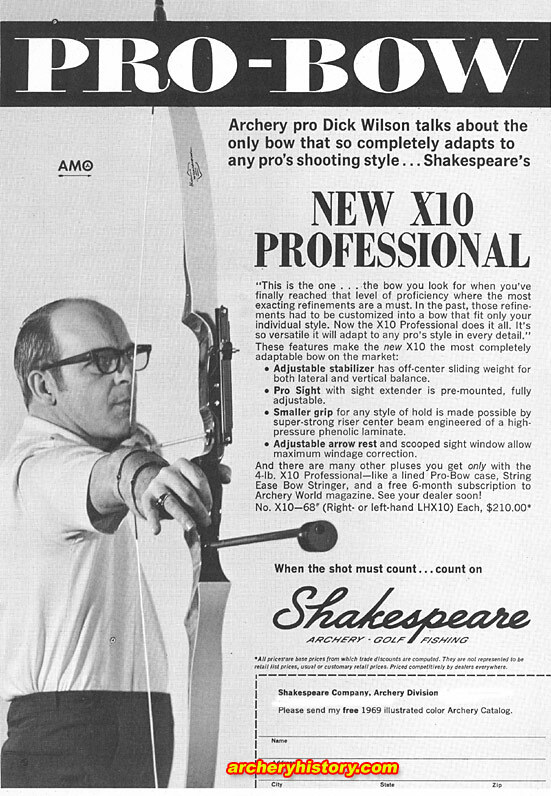 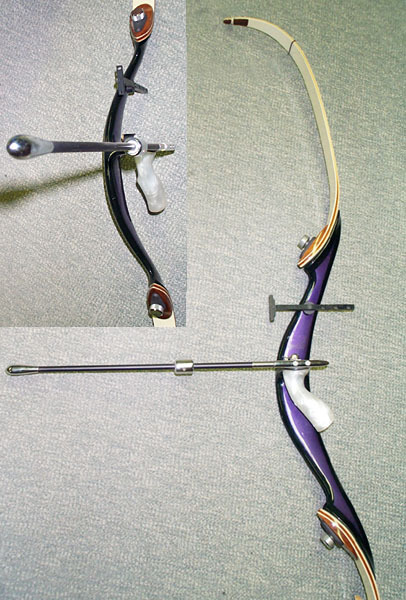 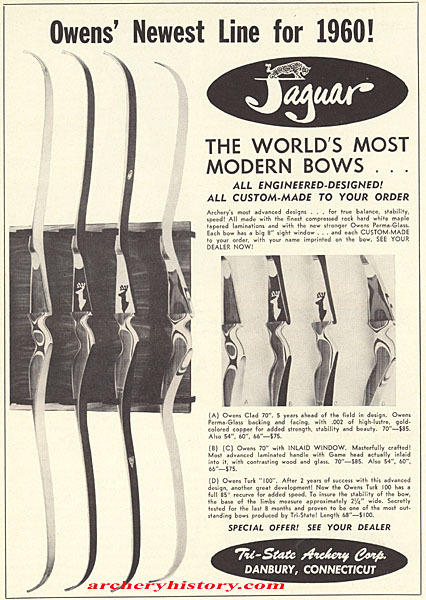 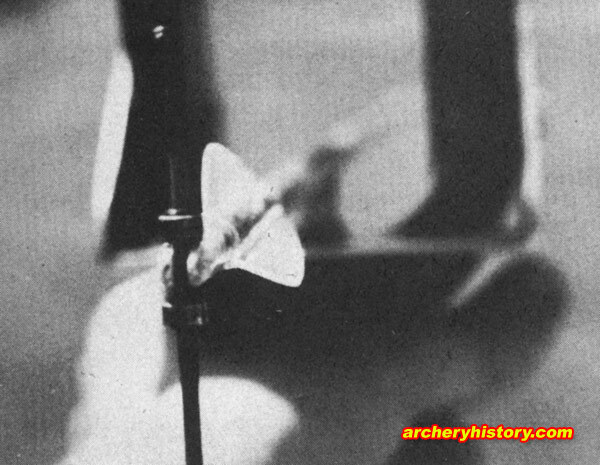 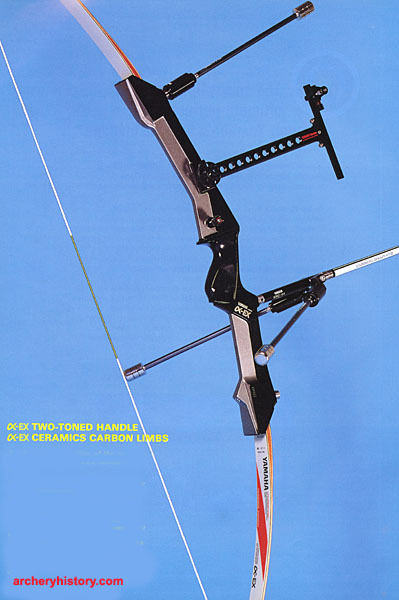 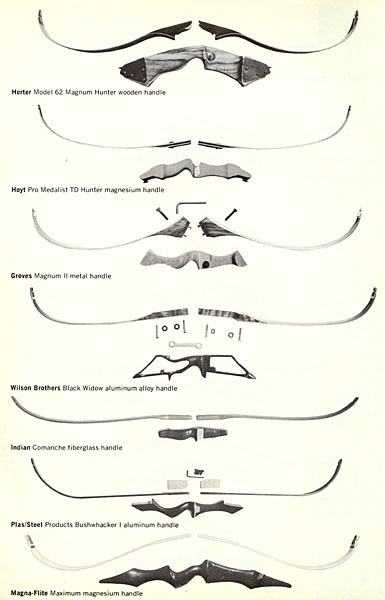 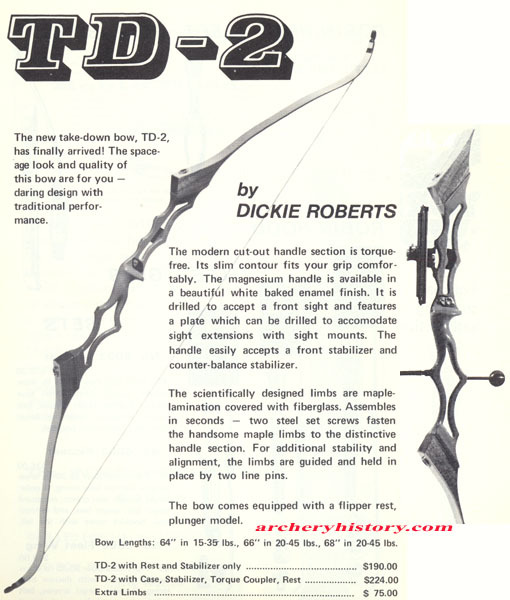 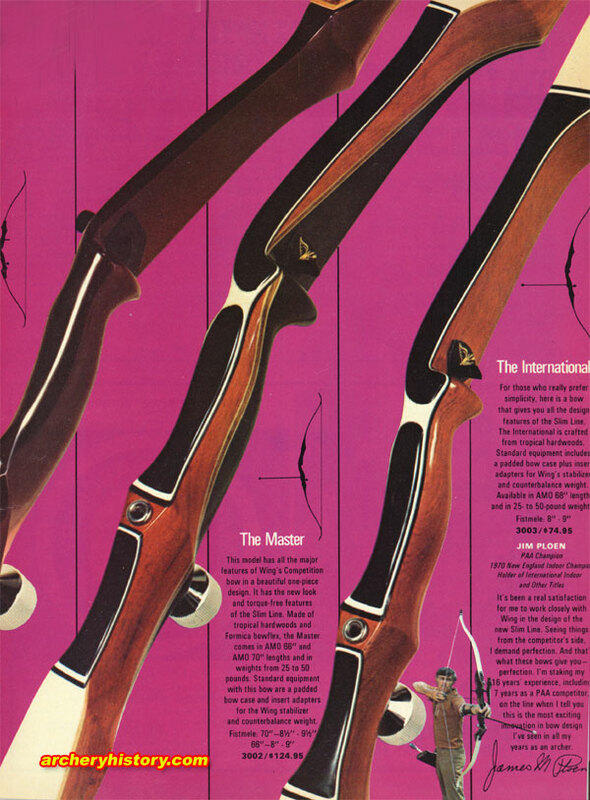 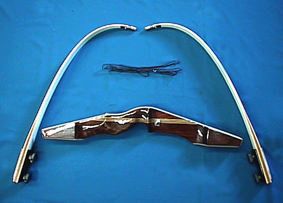 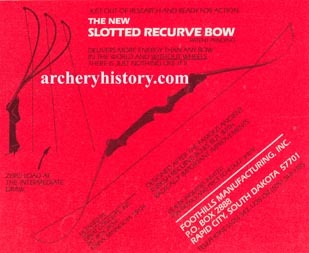 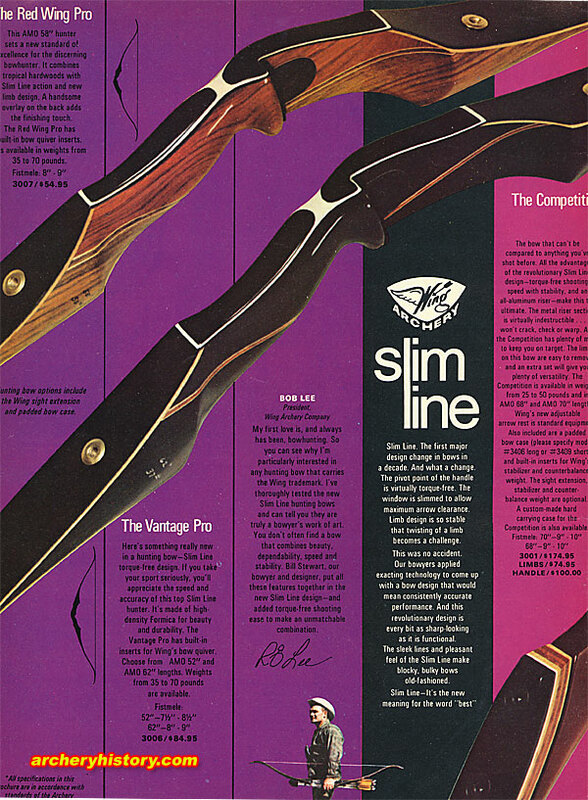 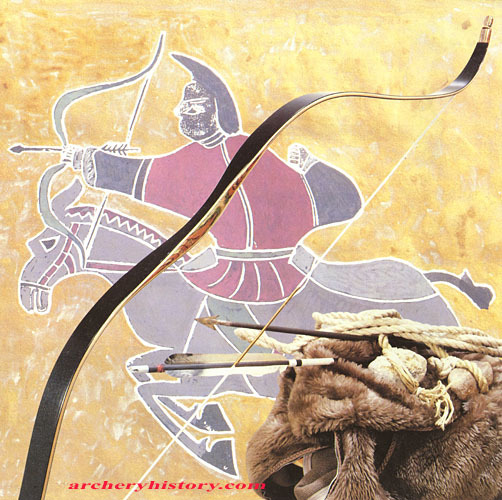 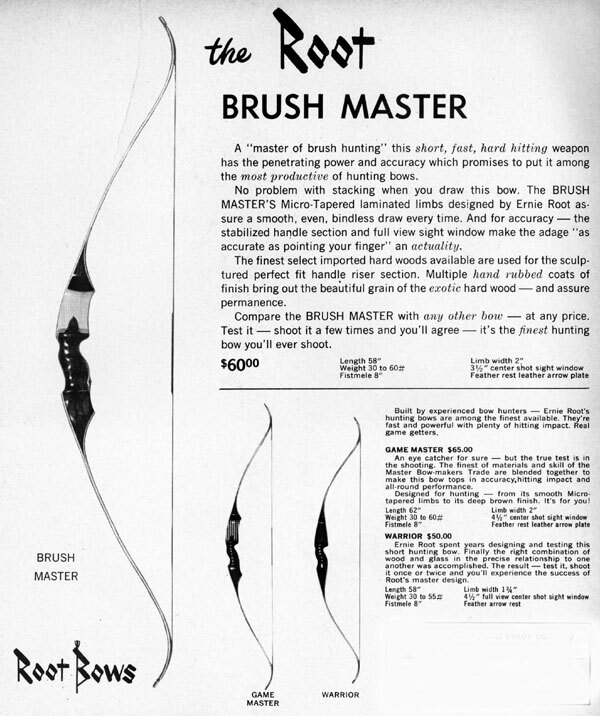 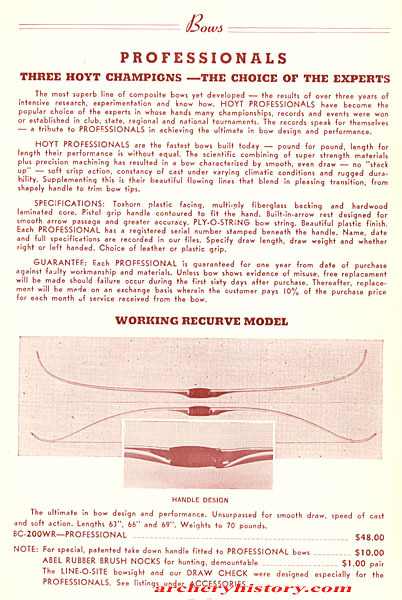 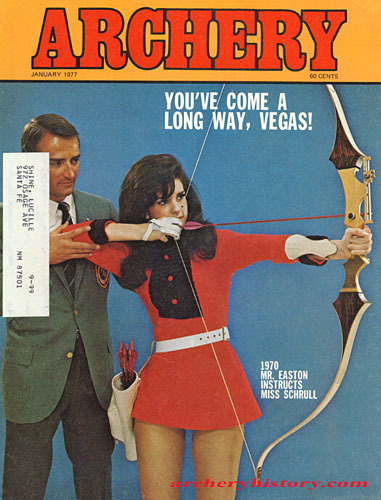 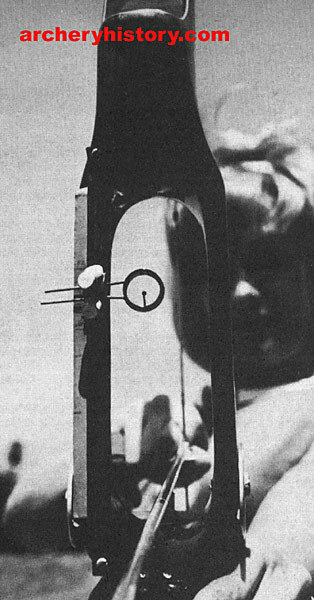 Sabo SSR recurve bow (1969-70) shows earliest versions of "V" launch arrow rest. 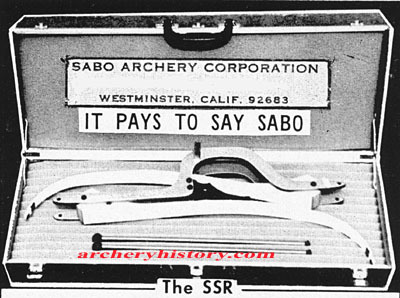 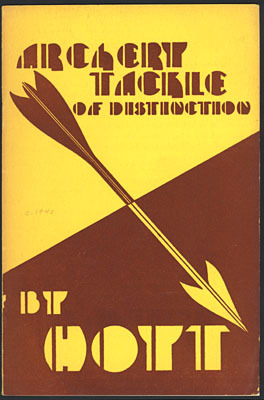 The Sabo rest was made in several versions. 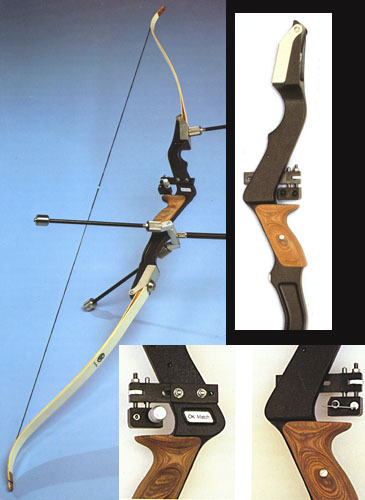 Some finger shooters drilled the side sight window plate and installed Hoyt adjustable side rest. 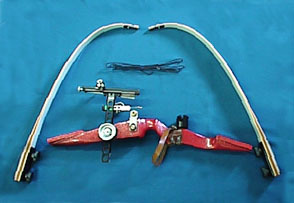 inserts and bushings, clear glass.